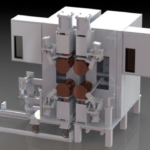 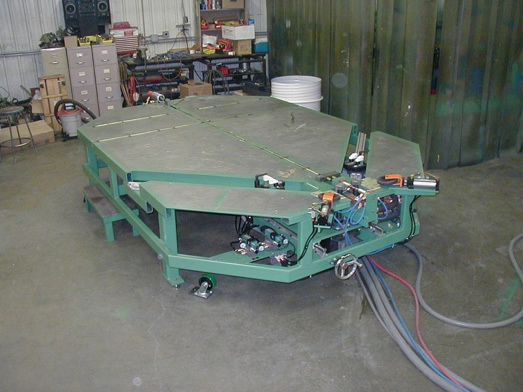 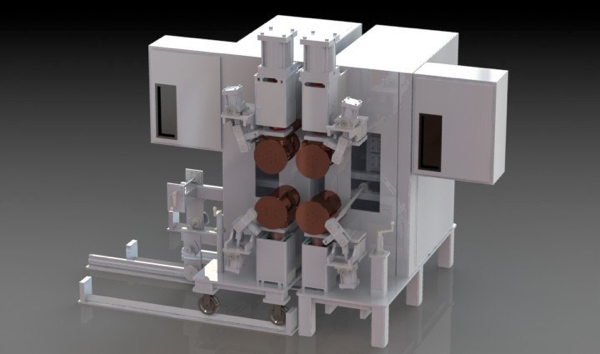 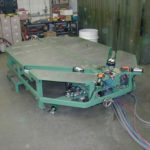 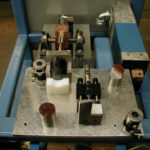 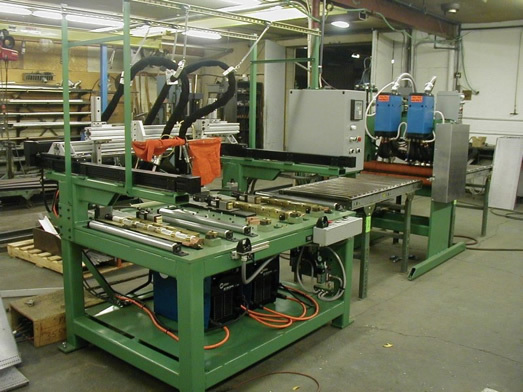 Special Application Machinery - Spot Weld, Inc. 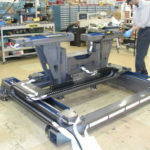 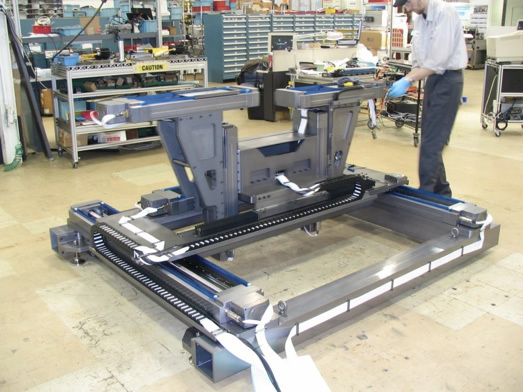 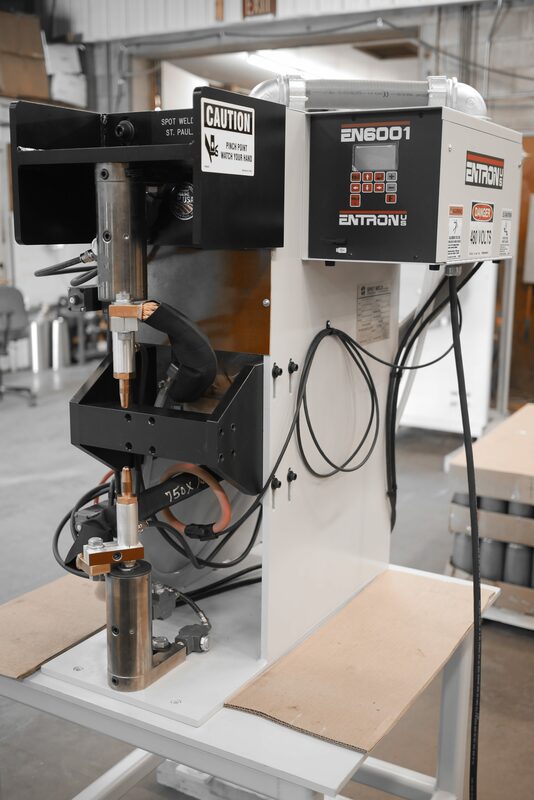 When your machinery needs grow beyond something that can be found in a catalog, Spot Weld, Inc. has been the resource upon which hundreds of companies rely. 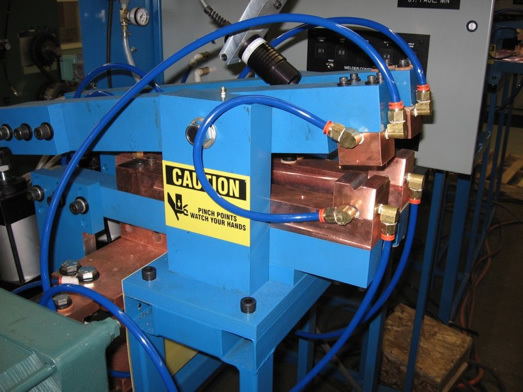 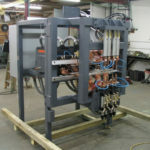 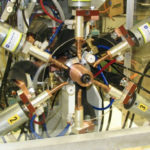 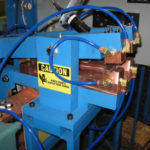 Spot Weld, Inc. has been designing and building custom solutions for resistance welding for decades. 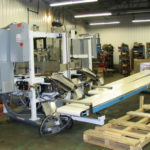 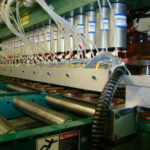 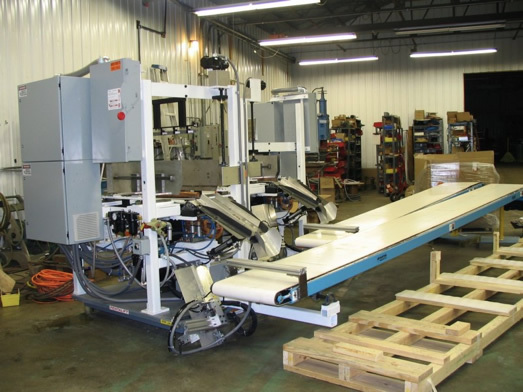 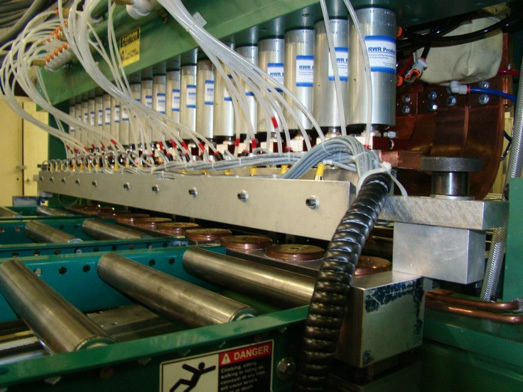 We can provide turnkey automated solutions for your high volume production runs. 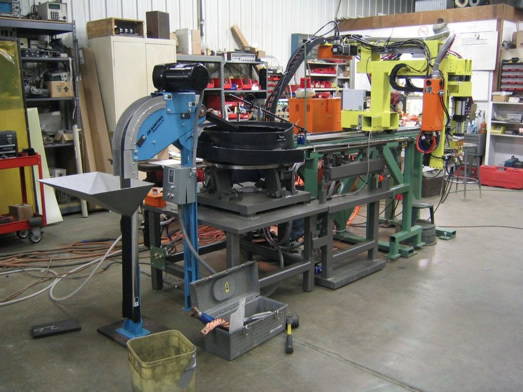 Whether it be simple tooling, adding nut feeders, PLC machinery feedback, inline torque testing, live tensile testing, adding safety or Quality Control systems, Spot Weld, Inc. has seen it all. 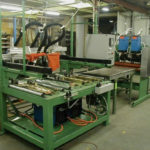 We would be pleased to help you improve your process with fresh ideas and the latest in technology. 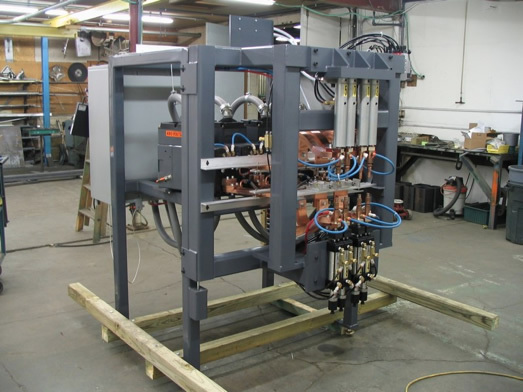 Simply send us your specifications, drawings, or sample parts, and we can help you develop a process for new projects, or to improve production rates and quality on existing projects. 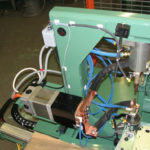 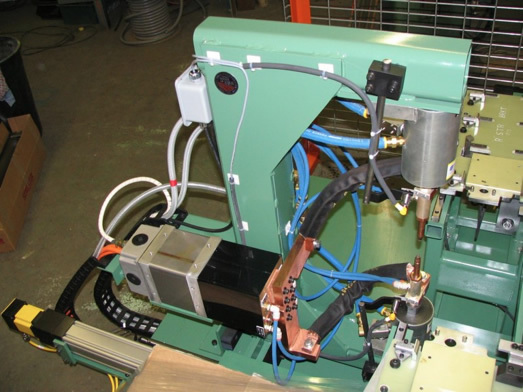 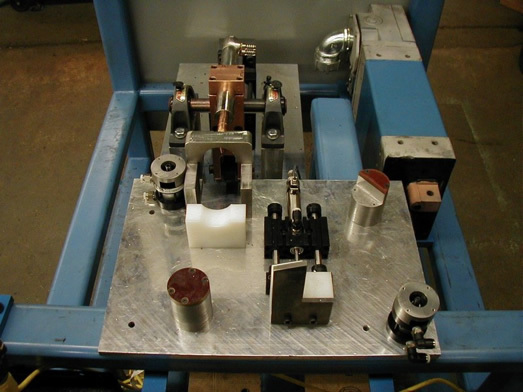 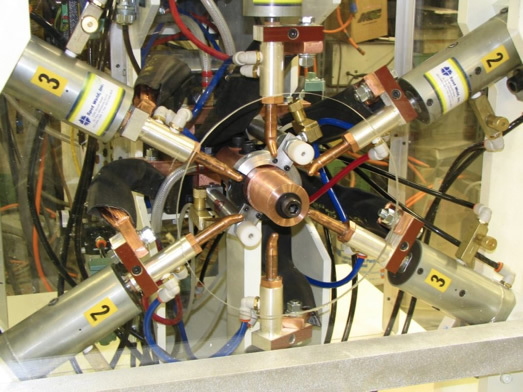 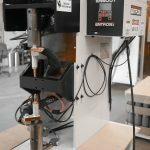 Simple bench top welder, with both up-acting and down-acting air weld cylinders. 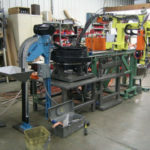 Ready to accept tooling to hold parts.